The Pew Research Center has reported that one in eight Americans between the ages of 40 and 60 is now caring for a parent at home. Multigenerational living can provide a way for family members at differing stages of development to form attachments and learn from and help each other. Challenges may develop around communication, boundaries, the use of shared and private spaces, and expectations related to the length of stay of additional family members. Many Americans feel stuck between both ends of the age spectrum in their family. Called the Sandwich Generation, these caretakers are caring for both their aging parents and their growing children. Multigenerational living is not new, but the trend is growing in all demographic groups. The Pew Research Center has reported that one in eight Americans between the ages of 40 and 60 is now caring for a parent at home. The increase in multigenerational households is partially due to economics, as people are moving in with their older parents because of limited job opportunities and the housing crunch. In other cases, one or both elderly parents move in with their adult children and grandchildren instead of moving into an assisted-living facility or nursing home. In addition to economic reasons, multigenerational households are formed from situational and cultural reasons, according to Jaia Lent, deputy executive director of Generations United, a national organization focused on intergenerational strategies, programs, and public policies. By working together as a family in a healthy way, multigenerations within a household can bond and experience an added layer of support from each other that they may not otherwise have. Homebuilders have even begun to recognize the growing trend of multigenerational families and are constructing homes to accommodate expanded families. Among new home design trends are single-family homes with “shadow” units that are built alongside a home, or separate living units that access the main floor plan through a door, or homes with at least two master suites. Multigenerational living can provide a way for family members at differing stages of development to form attachments and learn from and help each other. There is an emotional closeness that often forms with physical proximity. “By working together as a family in a healthy way, multigenerations within a household can bond and experience an added layer of support from each other that they may not otherwise have, as well as nurture cultural traditions that are important to the family,” says Dr. Lisa C. Palmer, PhD, LMFT, CHT, program and clinical director of The Renew Center of Florida. 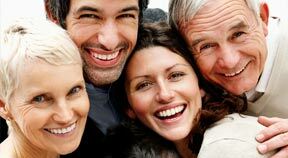 According to Generations United’s recent survey, 82% of respondents agreed their multigenerational arrangement has enhanced family bonds and relationships among family members. Other studies have shown that older adults who engage with children have numerous positive outcomes, including decreased depression, better health, and a renewed sense of purpose, Lent says, adding that children can obtain the gifts of time, unconditional love, and attention from their grandparents. Living in a multigenerational household can be positive and fun, but it can also be stressful. A major source of stress for those in the Sandwich Generation is balancing the different needs of caring for elderly parents and tending to young children, while also taking care of oneself. According to the American Psychological Association, mothers ages 35-54 in the Sandwich Generation feel more stress than any other age group as they balance the demands of being a caretaker. Juggling the needs of parents and children can cause caretakers to lose a sense of independence and privacy. “The biggest issues [in multigenerational homes] tend to be the loss of privacy, independence, and boundaries; clash of culture between values and needs of the family versus that of individuals; and financial strain,” says Palmer, a member of the Advisory Committee for the Psychology program at South University, West Palm Beach. Talk about and make decisions in advance when planning to live together, Lent offers. Discuss what is expected of everyone with regard to household finances (for example, who will buy groceries or pay for utilities) and saving for the future. Discuss the length of stay, Lent says. Make sure everyone has the same expectations about whether the arrangement will be temporary or permanent. Be prepared to renegotiate if the situation changes. Address circumstances as a family so that everyone is on the same page, Palmer recommends. Work on effective problem solving instead of conflict avoidance. Establish boundaries which respect privacy, individual needs, parenting, roles, and the hours people keep, Lent advises. It is important not only to establish boundaries, but to balance it with being more flexible, Palmer says. Learn to be flexible with readjusting, tweaking, and redefining rules to maintain personal and family harmony. Everyone should be in tune with their own needs. It can guide family members toward self awareness and effective communication about those needs, Palmer says.